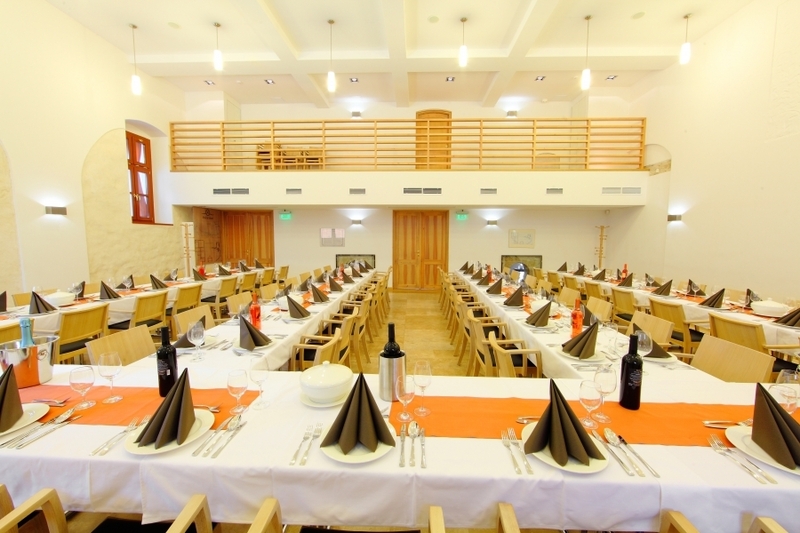 Hotel Historia Malomkert provides a perfect atmosphere for the recently popular and new type of business meetings, such as a business breakfast, lunch, dinner, gala dinner, partner meeting. Every buisness event is a message to the colleagues and to the partners. We help the way of the message to end up at the partner succesfully. We set up our menus according to personal needs, our kitchen provides excellent dishes for those being on a special diet. Drinks can be chosen from the unlimited packages or upon personal needs set up from our drink list. Success is guaranteed by the elegant place, by the quality service and by the quality equipments. We can serve business events up to more than hundred people at one of our dream locations chosen by you even with a short deadline, with a first class equipment park, with experienced staff, accomplished group working together for long years. We have a huge parking place with more than 100 parking places for business events free of charge. Ask for our offer, since we always try to make every effort to serve our partners’ needs with personal and flexible solutions. 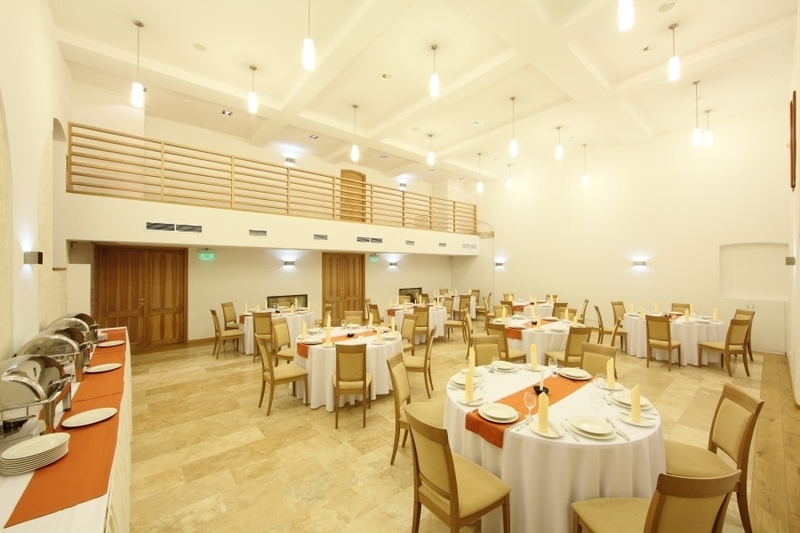 The Conference Room of Hotel Historia Malomkert is ideal for business annual events, providing place for up to 90 persons. Menu is made up of requested meals and drinks from the unlimited drink-package or from our drink-list. Event organization. Conference Room 100 m2 110 pers. 92 pers. 80 pers. 50 pers. 40 pers. Beerhouse 70 m2 40 pers. 56 pers. - - 20 pers. Terrace 90 m2 60 pers. 50 40 - 40 pers.